Jamba Juice started out back in 1990 as a little juice shop with a big idea – that healthy living starts locally. Today, the company is whirling up 13 different fresh fruits and vegetables at more than 850 juice bars across the country and has revolutionized fast, healthy eating in the process. 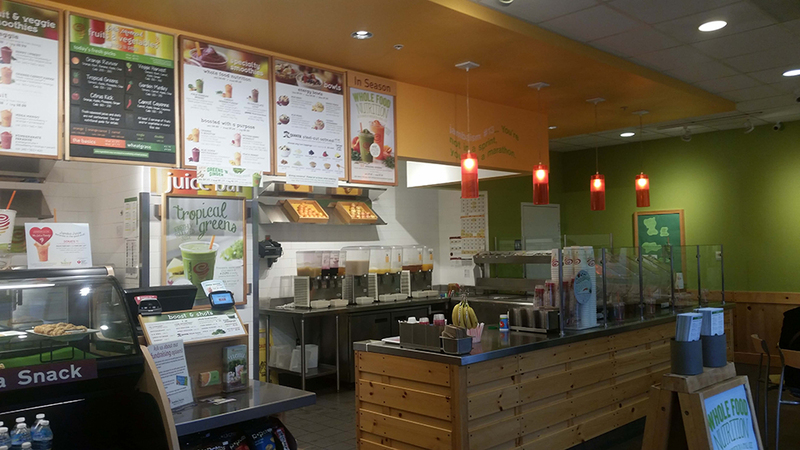 In Bend, you’ll find Jamba Juice on the north side of Bend in Cascade Village Shopping Center. Jamba Juice is best known for their fresh smoothies, pressed juices, and energy bowls; after all, they supply over 250 million servings of fruits and vegetables a year. All smoothies are made to order (even kids sizes), and any smoothie can be amped up with a variety of nutritional, vitamin-packed Jamba Boosts. But if you want something served up without a straw, try one of breakfast sandwiches or wraps, or a hot bowl of oatmeal. For lunch or dinner, daily soup selections, fresh made artisan flatbreads, and Toasted Bistro Sandwiches are on the menu. Jamba Juice is open from 7:00 a.m.-8:00 p.m. Monday trough Friday and 8:00 a.m.-8:00 p.m. Saturday and Sunday so you can get your Jamba on all day long.